Virtual reality is one of the most critical developments in technology in recent memory. It is already transforming the way we interact with different mediums of entertainment as well as real life. Many big names have started to come up with their VR products just for fear of being left behind. It really is a significant force in the industry right now. But how does VR work? How is software tailored explicitly to be VR-friendly? How does the fantastic Oculus Rift work? Those are the questions that will be answered if you enrol yourself in any of the numerous VR courses cropping up online on many platforms. In this article, we’ll be discussing the best VR courses to take to learn about this emerging technology. Virtual reality is already a big thing in digital entertainment. Facebook invested nearly $2 billion into it, so you know it’s something serious. Google has sold millions of their cheap Cardboard VR headsets to the masses. With so many VR headsets in circulation, people are hungry for VR content. And that’s what you can take advantage of. VR still has a lot of space for innovation and newcomers can make a mark for themselves. If you’ve got a unique idea for VR but are unsure on how to put it into practice, take courses in VR and get equipped yourself. This course is part of the Virtual Reality Professional Certificate program in which students will explore the different ways that virtual reality apps are developed for consumers and enterprise applications. 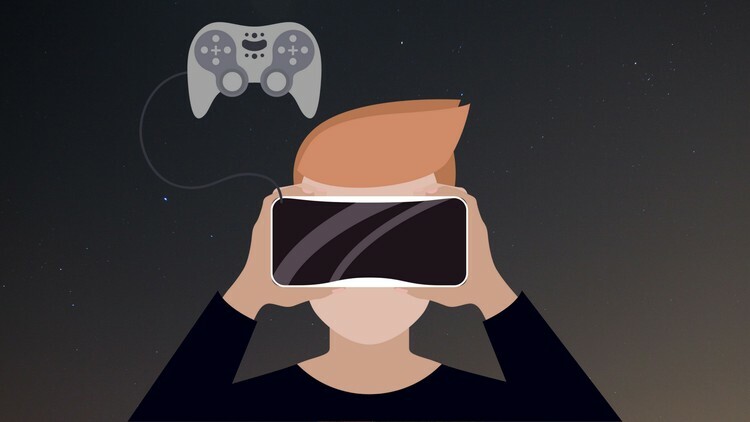 The course explores both the software and hardware side of things and how the two are connected when it comes to designing a virtual reality solution. Students will be exposed to a variety of devices that are used in designing virtual reality software, the differences between them and the common problems that developers face while developing VR apps. Since interaction plays a significant role in VR, that is also discussed at length in the course. However, extensive programming experience isn’t necessary to follow this course. Only fundamental concepts are required. Students can expect to write their own basic virtual reality software using WebVR by the end of this course. This course is taught by Steven LaVelle, one of the inventors behind the widely popular Oculus Rift VR headset. This course is entirely free to take and is undoubtedly valuable since it’s taught by someone who knows how consumer VR technology works. Steven LaVelle explores different virtual reality fundamentals such as geometric modelling, transformations, graphics rendering, optics, sensing and tracking. These are all vital concepts when it comes to virtual reality, and the user is going to get a good grasp in why they’re fundamental to VR technology. For budding filmmakers who’re interesting in exploring how virtual reality can be used to make immersive film experiences, this crash course delivered by Nick Kraakman is a must. Kraakman is one of the founders of the Purple Pill VR company. You don’t have to be a VR expert to follow this course. In fact, if you’re just interested in what VR is, this course can prove to be very valuable. This course will teach you everything you need to get started in creating cinematic VR experiences. The course delves into the appropriate hardware requirements such as selecting the right 360-degree camera equipment. But this class isn’t just about technology; course takers will also be guided in how to script the cinematic content and how to lay it out to the audience to deliver an immersive experience. What’s more, this course is free. So even if you have a fleeting interest in cinematic VR, be sure to check this out! This course will teach you about the basics of creating mobile apps with augmented reality concepts. Augmented reality is a nascent technology which has gained a lot of hype in the past year, with its most famous application being in the latest iPhone. The course teaches augmented reality app development to students through practical knowledge gained by prototyping three AR apps for Android smartphones and tablets. You don’t even need to have any previous coding experience to take this course, just a keen interest in AR and learning will suffice. It’s just not for developers either. Graphic designers can use the material taught in this course and apply it in their field. An example of that would be augmenting regular graphics with real-world interactions. The introduction for this course states that anyone in digital media can gain something out of it, and for this reason we recommend it. This free course brought to you by Google is a must for beginners who want to explore the development of virtual reality applications for smartphones. No prior coding experience is required. Fundamental concepts of VR such as optics, displays, stereopsis, tracking and significant hardware platforms are discussed in this course. Students will create and deploy a full VR application by the end of this course, which is enough to understand the underlying principles behind VR. This course is free, and you’ll be learning from industry professionals. Strongly recommended for beginners. This one is for the budding game developers. 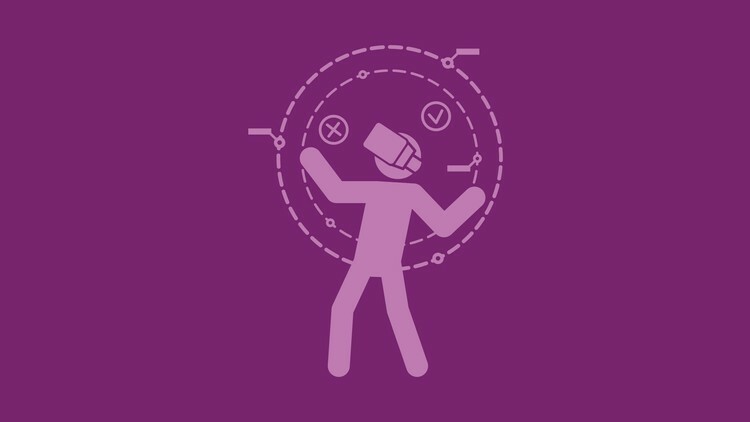 If you’re interested in learning how to code in C# and create VR games while you’re at it, this course is perfect for you. Users will be taught how to code, from scratch, and then showed how to create VR games for Google Cardboard using the Unity game engine. Students will be taken through practical steps by creating a VR game, so it’s not just concepts with this course, you’ll be making a VR game. Now that is pretty exciting. In the end, students can also join a community website where they can share 3D resources and engage in discussion with other developers. This course also focuses on VR game development for the iPhone, although you’ll need a MacOS device and an iPhone to take advantage of that. This is a fascinating course and should be looked at by both game developers and architects. What this course primarily teaches is how to transform your 3D environments into a full VR environment. We mention architects because this can give them a unique edge when proposing specific 3D designs as the client can navigate the design in immersive 3D VR. Please note that to take full advantage of this you’ll need a high-end VR headset like the HTC Vive or Oculus Rift. All of the courses in the list are sure to prove to be interesting for people with a keen interest in VR and the development that goes with it. They’re especially useful for game developers and programmers who want to get into this popular new technology. Remember, these are the early years for VR, and there’s still a lot of space for new VR apps and games. If you start learning today, you can become an expert in the technology in the coming years, when demand for such people will certainly go up. If you’re interested in virtual reality courses to take, you might also find interesting our guide on where to start in VR.